Washington has been party to the Yemeni conflict since the outset of the deadly conflict, Kristine Beckerle, a Middle East-based Yemen researcher and member of Human Rights Watch's North Africa Division, told Sputnik. In an interview with Sputnik, Kristine Beckerle, a Yemen researcher in the Middle East and member of Human Rights Watch's North Africa Division, drew attention to the fact that the United States has been party to the Yemeni conflict since the first month of fighting there. The interview came as media reports said earlier this week that the United States had 'officially' entered the conflict in Yemen. The Pentagon said that the USS Nitze fired Tomahawk cruise missiles at three radar stations, belonging to Houthi rebels and destroyed them. The strikes were authorized by US President Barack Obama, and so far there are no reports of casualties from Thursday's attack. Yemen has been mired in a state of war since 2014, with the Houthis fighting forces loyal to President Abd Rabbu Mansour al-Hadi, who has fled to Saudi Arabia. Riyadh entered the conflict in 2015, conducting airstrikes against the Houthis. "Even though what has happened in the last couple of days is certainly an escalation [of the Yemeni conflict], the United States was involved in this conflict for many months," Kristine Beckerle told Sputnik. "It's an escalation, but it's not a fundamental change in the standoff, which has already claimed the lives of more than 4,000 civilians," she said. In this vein, Human Rights Watch looks into "the United States being party to the Yemeni conflict since the first month of fighting given the level of support Washington has been providing to the Saudi-led coalition", Beckerle said. She also expressed serious concern about the current situation on the ground in Yemen, citing a whole array of human rights violations by all parties to the conflict. According to human rights organizations, Riyadh’s bombing campaign has claimed the lives of more than 4,000 civilians, and displaced more than 3 million people. 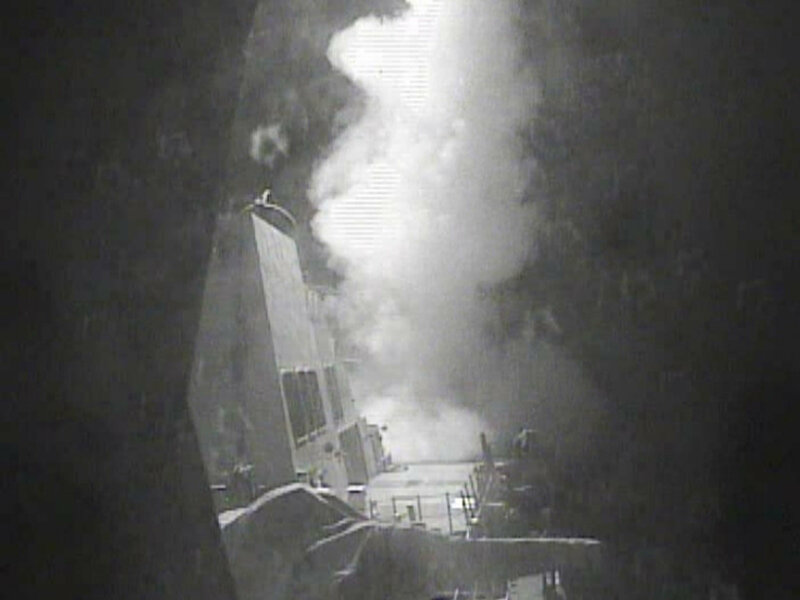 US attack came after American officials said that the Houthi rebels had fired missiles at the USS Mason. The militant group rejected these claims, but took responsibility for the attack on a US ship, operated by the United Arab Emirates. Earlier, Reuters reported that Washington was worried that its arms sale to Saudi Arabia and support for Riyadh's actions in Yemen would make it liable to be tried for possible war crimes committed during the conflict.